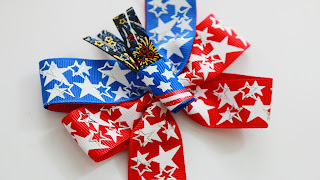 One week until the 4th of July....I almost forgot the bows again. I'm happy to say that Kennedy now has a couple of bows to wear. Now, if I could only figure out some of those cute hair styles! Check out the tutorial below. It's easy. I promise! 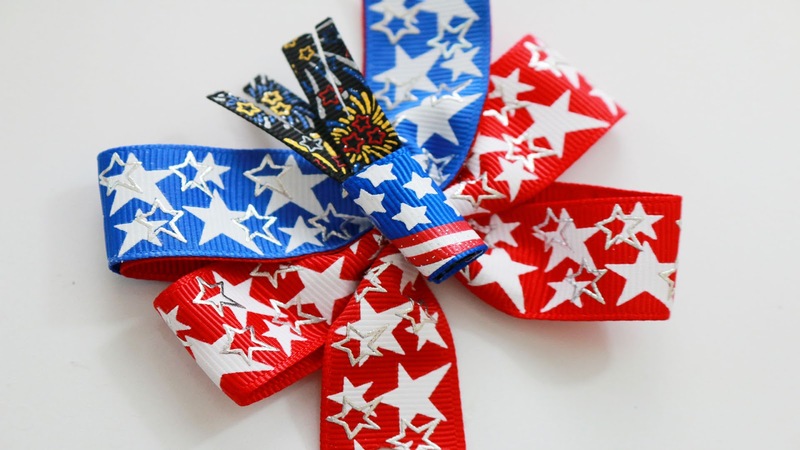 The blue/red STAR print ribbon came from Rollin N Ribbon. The flag print/fireworks print ribbon came from Tutu The Moon. Visit me on Youtube (mommy crafts a lot) for the complete list of hairbow tutorials and other crafty "stuff". I love watching your videos specially the bow tutorials, I was wondering if you had ever made a duct tape bow?